The Griptilian is born of custom knife maker Mel Pardues passion for functional designs. You release the creatures ferocity with a thumb stud. 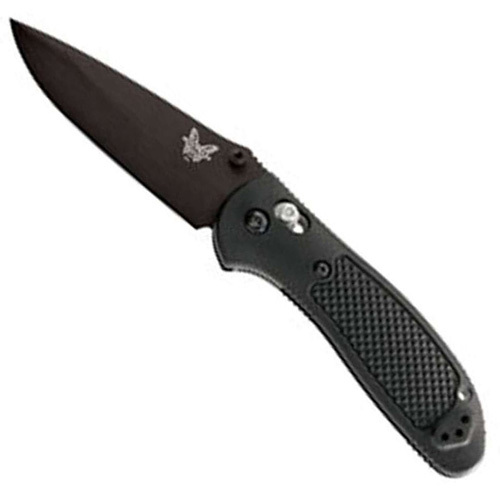 At the very heart of the Griptilian is the exclusive AXIS locking mechanism. This modern marvel gives life to a cutting tool like you have never experienced before especially in a lightweight folder. Rock-solid ambidextrous function is sure to tame the most die-hard of traditionalists. And you can grab onto the lightweight, injection molded handle with its grip-textured surface and rib covered spine that grabs you right back for a cant let go grip. The Model 551 also comes with a reversible carry-clip for right or left side carry.